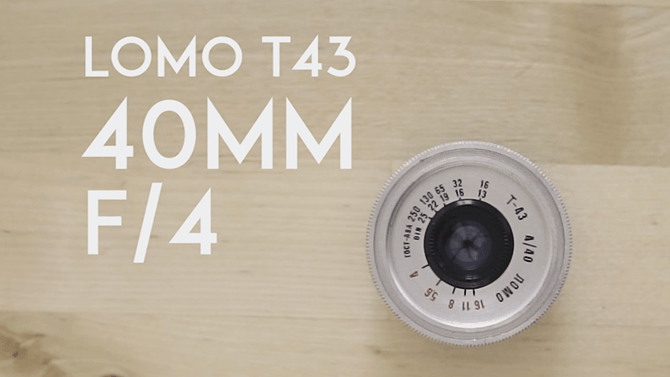 It’s not much of a secret that I’m a big fan of M42 lenses, especially for things like video or timelapse. I’ve got a few dozen of them that I use when I’m after a particular look and feel that would take a lot of work to achieve with more modern glass. But occasionally I see a video or photos using an M42 lens that I haven’t come across before. In this case, it’s a Soligor 400mm f/6.3 lens. A lens that filmmaker Victor Bart managed to pick up for the princely sum of €2. In this video, he shows it off on the 2x crop Panasonic GH5, for an equivalent field of view to full frame 800mm. I’m Tito Ferradans and today we’re here to work on a few upgrades to the Helios 44-2 Extreme mod. You probably watched the original video, as it is the most popular one in the channel. After finishing the mod and doing it over and over to fulfill ebay orders, I started to wonder about some other components I handled repeatedly for the mod. Namely the optics. Not everyone wants polishing – which I can understand, and I myself prefer the unpolished version – so I kept staring at this black coating that covered the sides of the biggest glass elements. I decided to give it a go and try to take it off. In order to do that, I used what I had at hand: nail polish remover. Tito Ferradans here for a lengthy video involving some serious modding and unique looks. Summer is here and DIY projects are up. A few weeks ago I was blown away by a few photos posted by one Victor Danell with a modified Helios 44. His process was to “polish” the glass elements with a strong abrasive and sand the inside of the barrel in order to increase how light bounces around. The resulting effect is a light and wonderful glow to the brighter areas of the frame. It’s an effect I was trying to re-create in post since forever and having the opportunity to do it in-camera was just too much to resist. Then I pushed the concept a bit further, painted some things inside the lens, replaced the aperture and added a flare filter inside the lens as well. The Helios 44-2 is one of my favourite old lenses. This, along with the Jupiter-9 are my two most used manual focus lenses for stills and video. The Helios 44 line started in 1958. Its initial design is a copy of the Carl Zeiss Biotar 58mm f/2, and was produced by KMZ for the M42 mount. Since that first version, it’s been through several iterations as technology has advanced. In this video from Manny Ortiz, we see the Helios 44-2 58mm f/2 lens in action on a Sony A7RII. When you see the looks that can be achieved by this lens it’s easy to see why this quickly becomes a favourite of all who own one. The fact that they can be picked up for as low as $10 just makes it one that should be in everybody’s bag. When it comes to ridiculously cheap but very useful lenses, you’d be hard pushed to beat 40+ year old Russian technology, and this suggestion from Mathieu Stern is no exception. We’ve shown you a few repurposed lenses in the past, but this one’s a little more readily available and quite a bit less expensive.